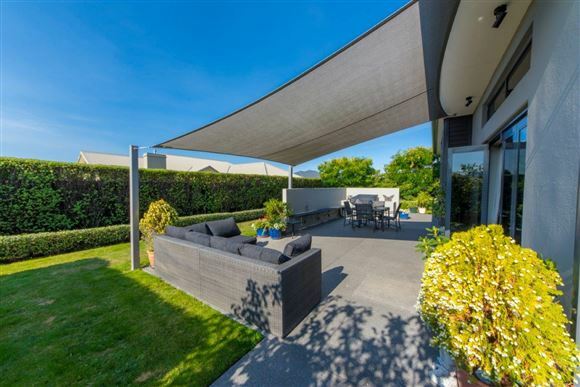 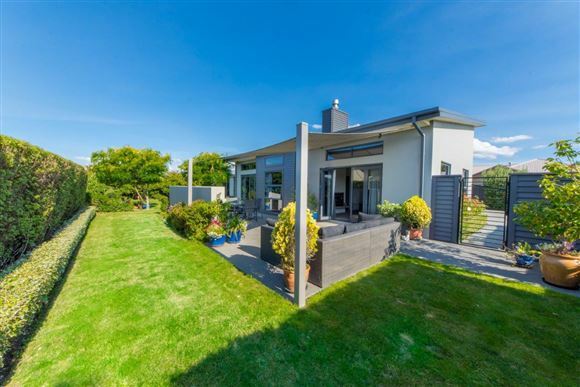 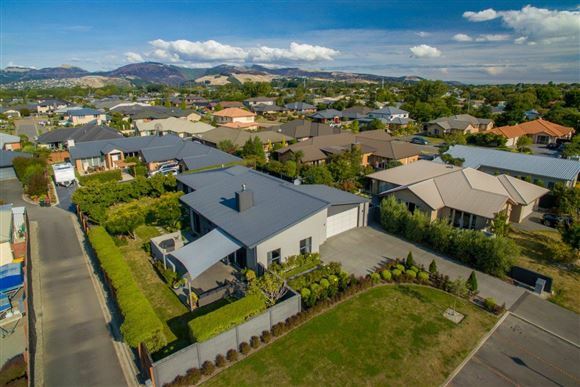 Set in peaceful surroundings with a wonderful outlook, this stylish, executive home, received a Silver Award in the Canterbury Regional Registered Master Builder's House of the Year competition in 2006, and is just perfect for family living. 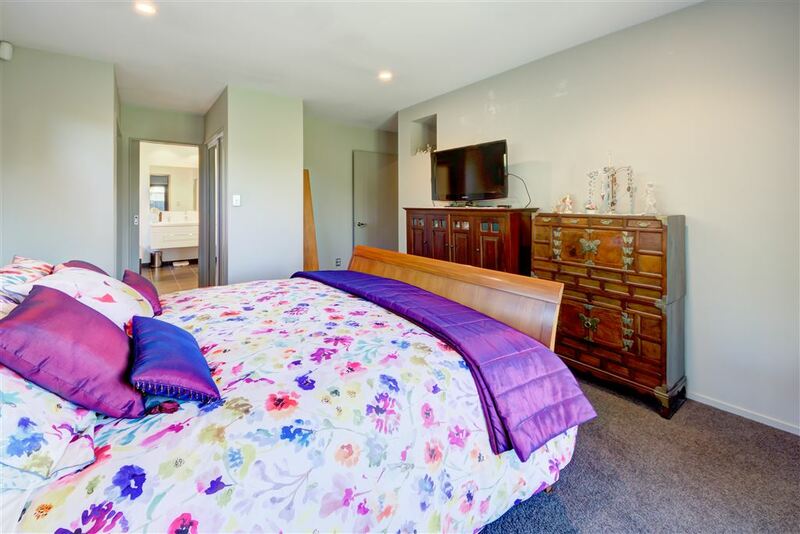 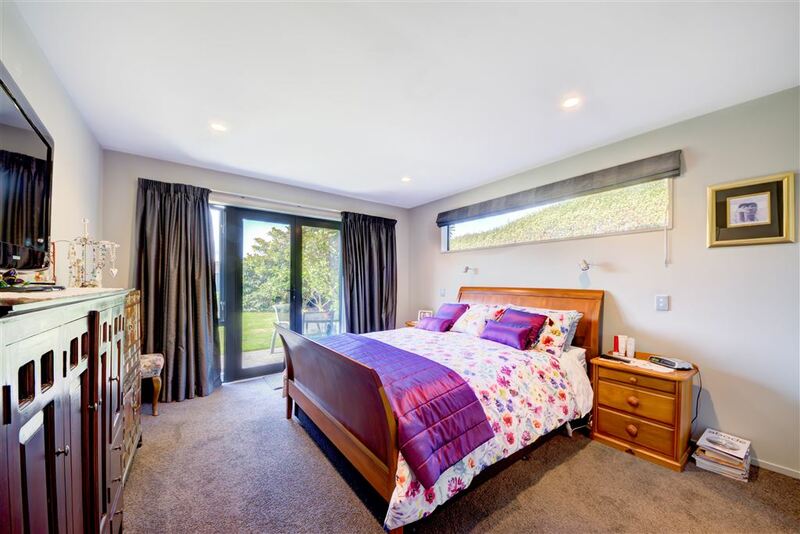 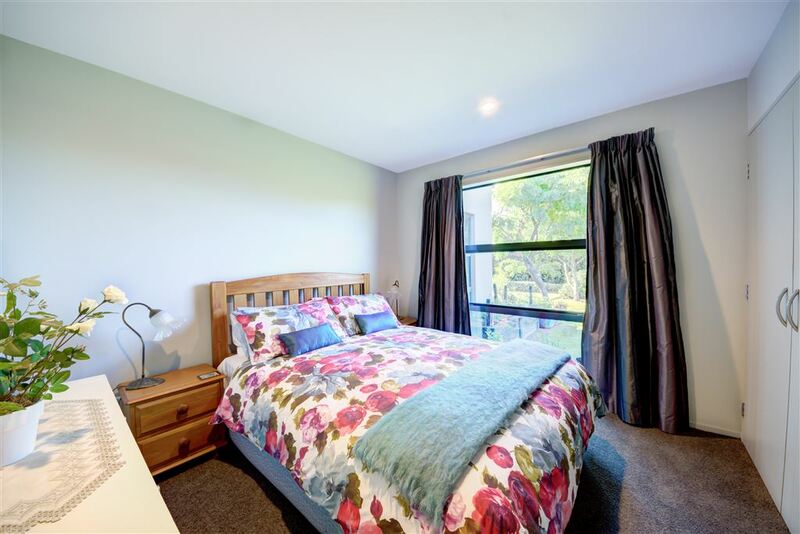 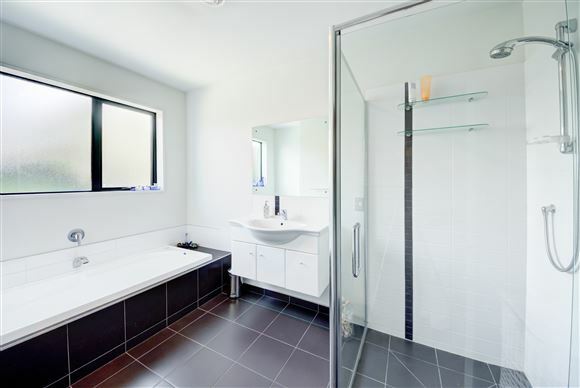 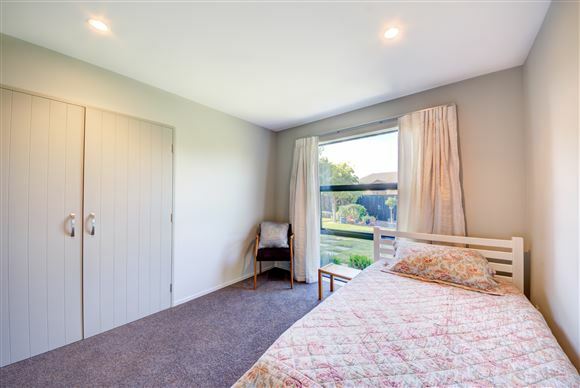 Immaculately presented, with tasteful, neutral décor throughout, offering 4 double bedrooms, main bedroom with ensuite and his and hers robes, plus a study, which has a built-in robe and could serve as a 5th bedroom. 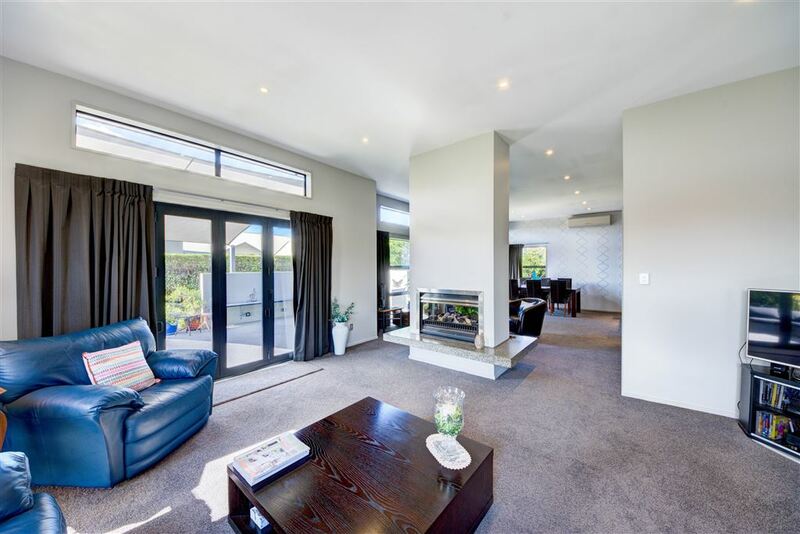 Ultra-spacious living areas with a double-sided gas fire adding both ambiance and warmth to both interconnecting living areas, with well-appointed open plan, kitchen and living / dining area. 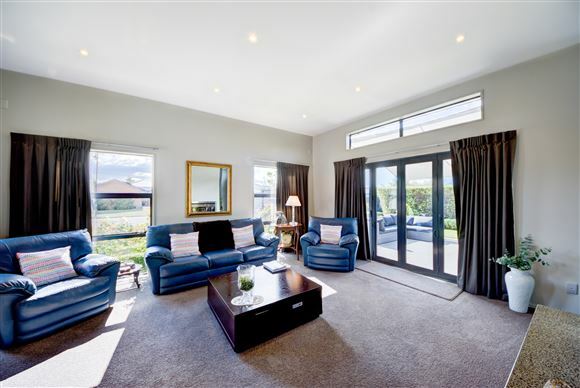 Both living areas flow seamlessly out onto the sun-drenched, private patios complete with built-in gas BBQ and built-in seating, it is the perfect spot for entertaining or relaxing with your morning coffee or afternoon sun-downer, and overlooks the private, well established back garden, which is securely fenced, making this an ideal area for the kids and the pets to enjoy. 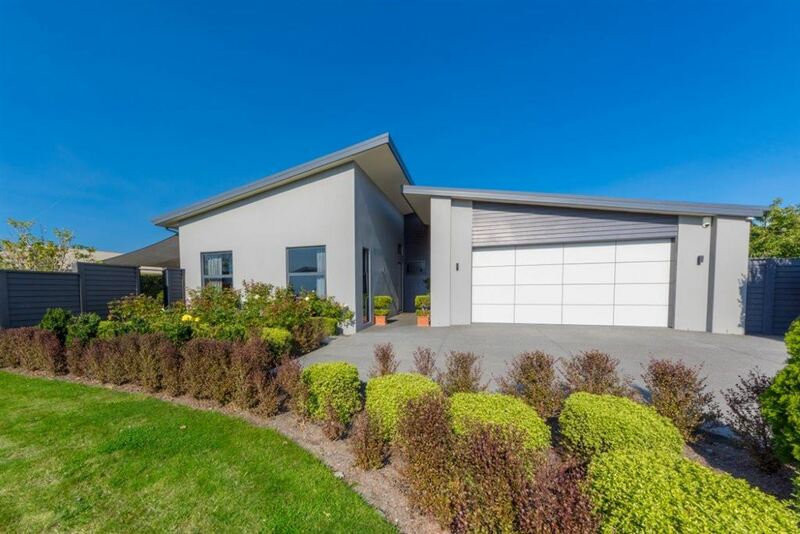 Double, internal access garage with drive-through access to the rear, handy parking for that extra vehicle, trailer or boat. 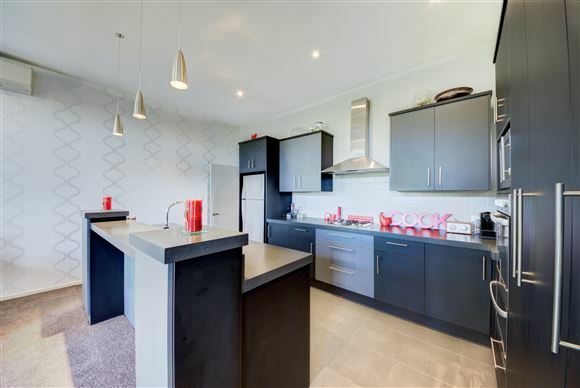 High stud ceilings, ample storage, double glazed with plenty of heating options, comprising of a heat pump, a gas fire, night-store heater as well as electric under floor heating in the bathrooms and the separate toilet. 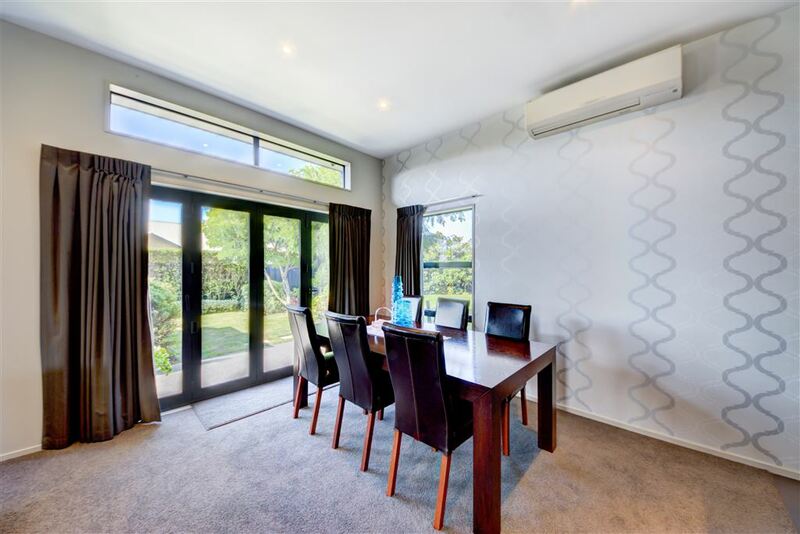 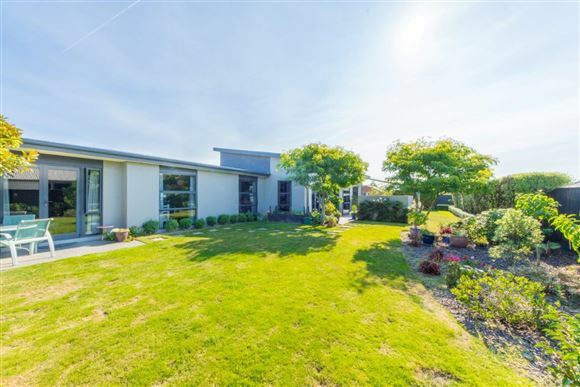 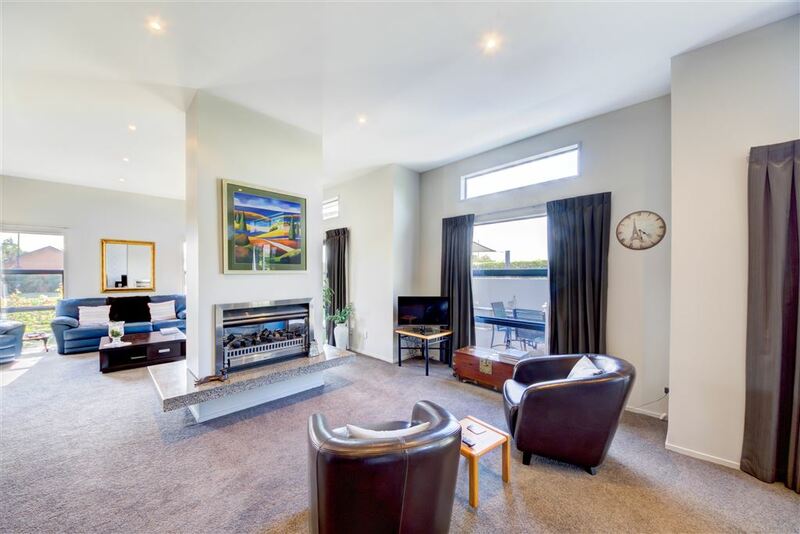 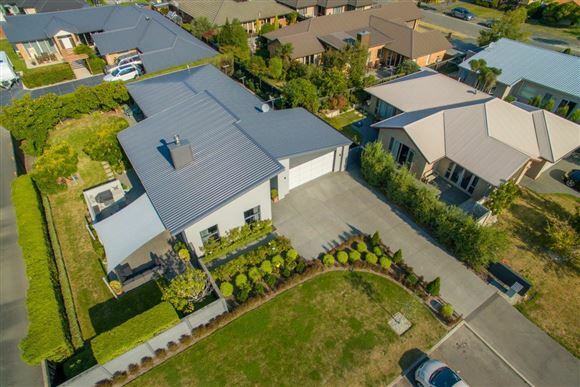 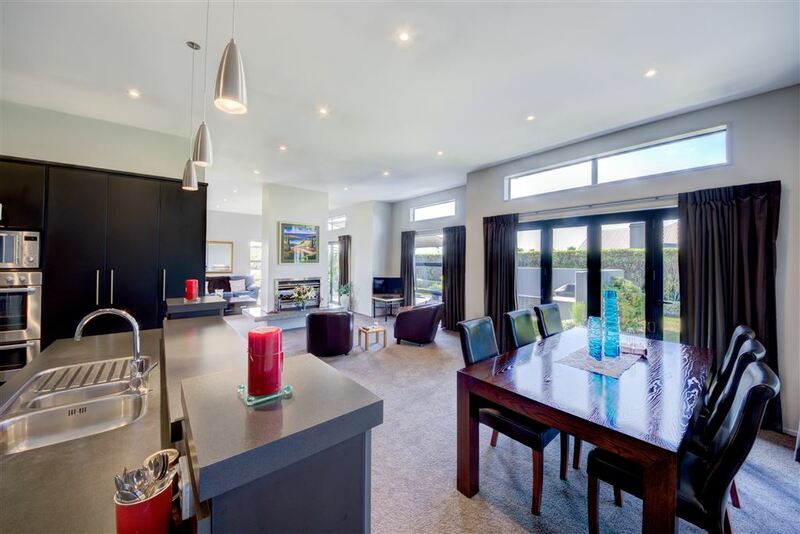 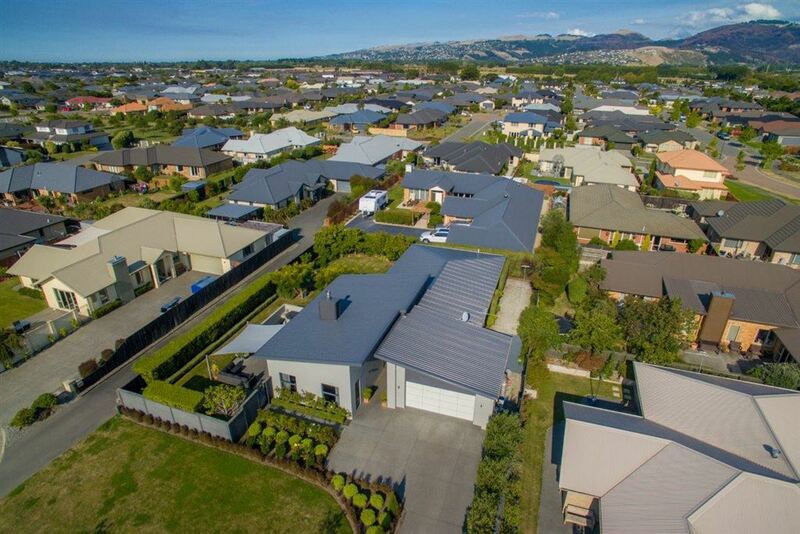 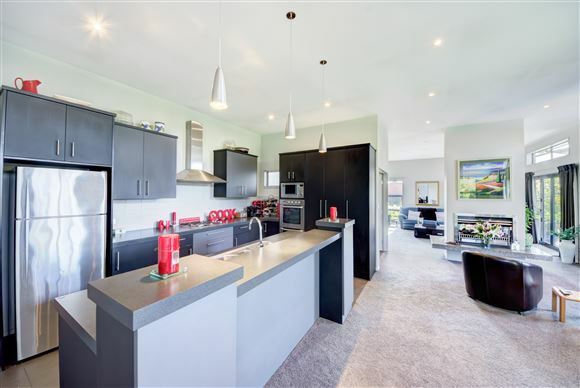 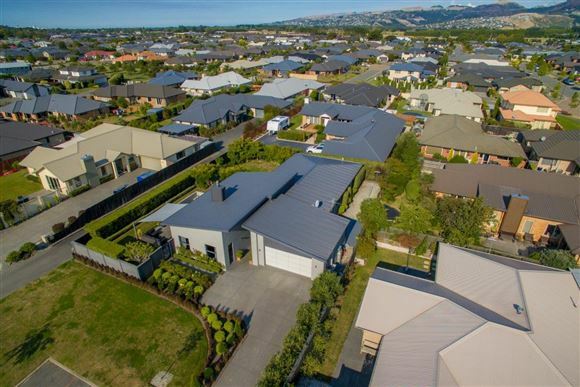 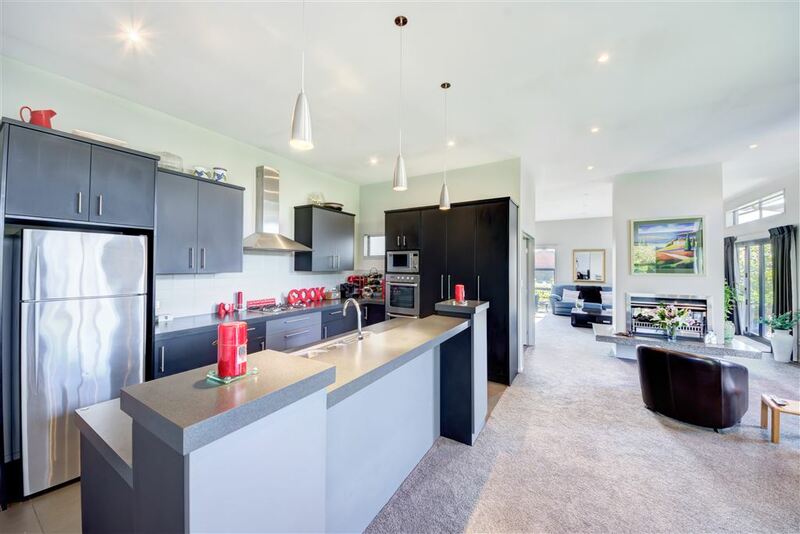 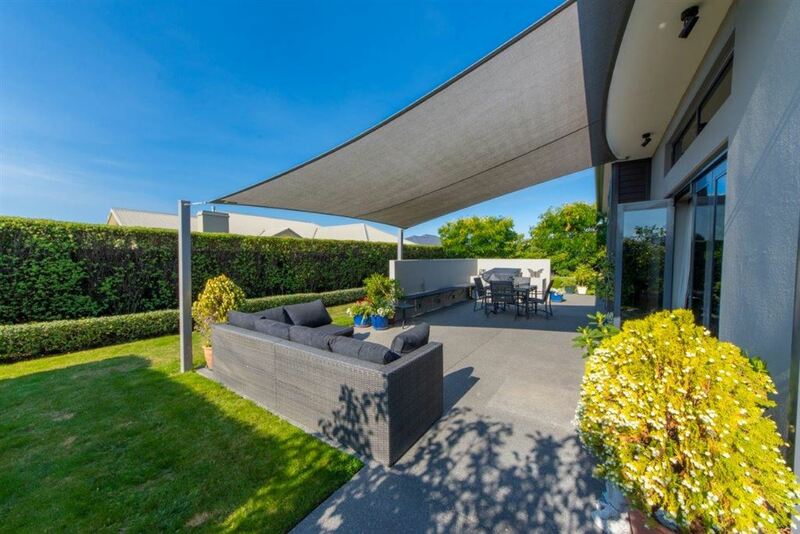 There is plenty to appeal, both inside and out, a lovely family home which is well situated in a quiet cul-de-sac, in popular Aidanfield subdivision, with easy access to arterial routes and many amenities, including the new shopping hub "The Landing" in Wigram Skies, all nearby. A top of the line home that you and your family will be proud to call your own. The Christchurch City Council Property File is available to all interested parties. 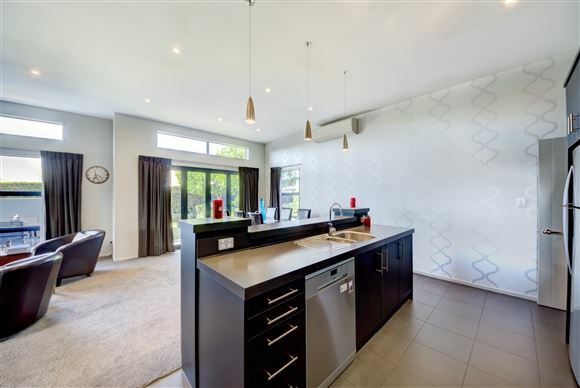 Do not miss this opportunity to enjoy all this immaculate home has to offer. 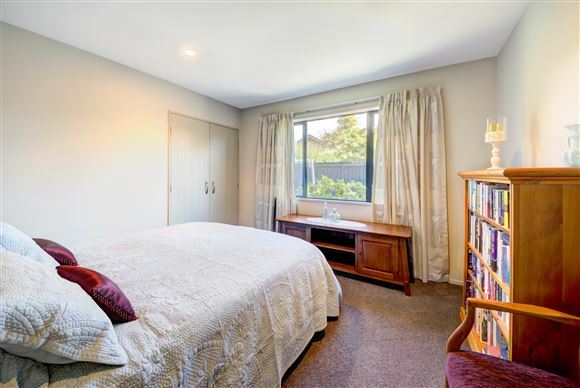 Viewing will certainly impress - please call today to view. 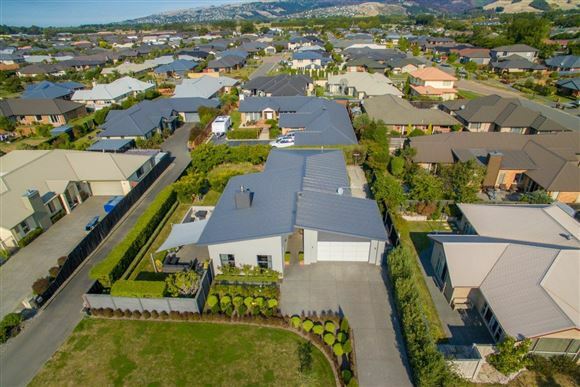 Please be aware that this information may have been sourced from RPNZ/ Property Guru/ Land Information New Zealand/ Christchurch City Council Building Plans/ CERA and we have not been able to verify the accuracy of the same. Chattels remaining: Blinds, Drapes, Fixed floor coverings, Light fittings, Alarm, 2 x Heated Towel Rails, Gas Fire, Heat Pump, Night Store Heater, Dishwasher, Rangehood, Separate Cooktop, Separate Oven, Waste Disposal, 2 x 3 in 1 Heat Fan Lights, Clothesline, Built-in Gas BBQ (Gas bottle for BBQ excluded), Automatic Garage Door Opener & Remote, Shade Sail, Electric Underfloor Heating in bathrooms and the separate toilet.